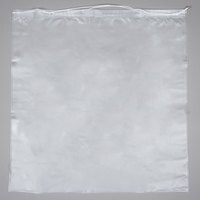 Bobrick is a company known for its affordable, high-quality restroom supplies, and these Bobrick garbage bags are no different. 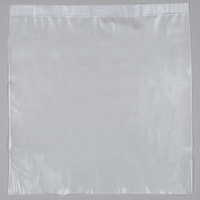 These liners are made of extremely durable clear vinyl that won’t break, even when weighed down with a full load of trash. They’re even reusable, so you won’t need to repurchase as often. Simply hang the bag in the trash can, and you’ll never have to scrub out your trash can again, saving you money on both resources and labor. 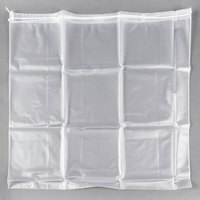 Bobrick trash can liners are the perfect addition to any high-traffic restroom in a restaurant, office, or hotel. These bags catch paper towels and other trash before they can stick to the inside of the can, reducing the amount of time your staff needs to spend scrubbing the cans and extending the service life of your trash cans. 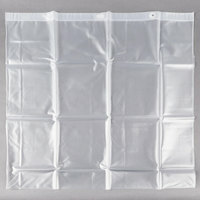 You can even purchase different size bags to accommodate the amount of traffic your restroom gets. For other restroom supplies, check out our commercial toilet paper and toilet tissue, toilet seat bands, and commercial paper towels. If you're wondering where to buy Bobrick trash can liners / garbage bags, we have a large selection of Bobrick trash can liners / garbage bags for sale at the lowest prices.